We are Geoff and Lisa Tattle, Director/owners of Couchman Alarms Ltd. We have been married for many years and have two wonderful girls. We are very involved in our church of which Geoff Co-Pastors. 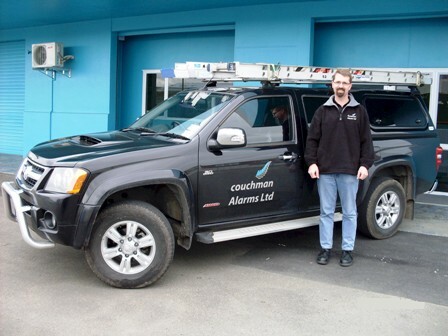 Before owning Couchman Alarms, Geoff managed the business for many years for John N Couchman Ltd until August 2008 when we purchased it. As Directors we are endeavouring to carry on the name you can trust with the high quality of service that Couchman Alarms has been known for. Our company motto is “Providing Peace of Mind” and we want to do just that by providing top quality equipment and the highest standard of workmanship. We will stand behind our products and service.